Triumph has been making bikes that cater to a diverse range of customers. 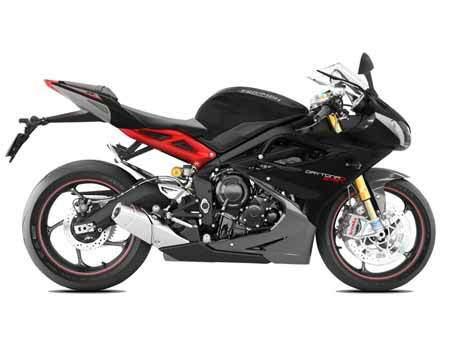 The Supersports series consists of a single bike, named the Daytona 675R that is squarely aimed to cause problems to your opponents on a track day. Despite being the only supersports motorcycle in Triumph’s portfolio, The Daytona 675 has been designed and manufactured after consistent and deep research and testing, and is thus repeatedly regarded as one of the best bikes in the segment. The above characteristics have ensured that not only has the bike been a huge sales success, it has also established a cult following in to biking industry. A supersports bike ought to be powerful over its entire rev range, and the Daytona does not disappoint a single bit. Moreover, the silky smooth clutch action and refined gear changes ensure optimum performance to be juiced from the workhorse.